You had a great run on this planet, Derek Shepherd. May you rest in peace. YIKES! Derek is in some serious trouble in this scene from Grey's Anatomy. NOOOOO!!! Grey's Anatomy has gone there. It has killed off Derek Shepherd. Oh, Derek Shepherd, how we miss you already. This is a photo from McDreamy from his final episode. Derek looks on in this scene from Grey's Anatomy Season 11. It's from the episode "Can We Start Again Please?" 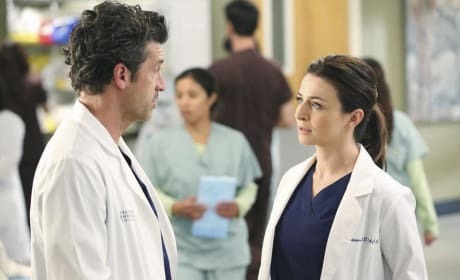 Derek and Amelia are having some issues on Grey's Anatomy. They are not getting along professionally in any way, shape or form. 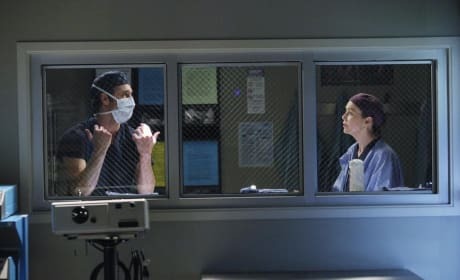 This is a nice Meredith and Derek moment, isn't it? Some Grey's Anatomy fans say we don't see enough of these anymore. 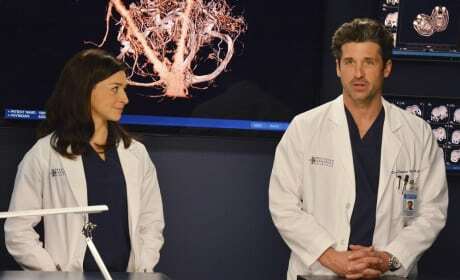 It's Derek vs. Meredith! These two did not end Grey's Anatomy Season 10 on a positive note. Amelia is back on Grey's Anatomy. And she's working here with Derek. Wait... huh? Who?!? What?!? 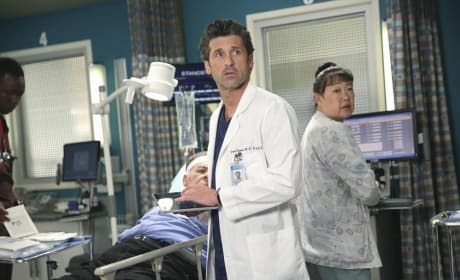 Derek and Meredith are a tad taken aback in this Grey's Anatomy scene. This is one of the cutest photos ever of Mer and Der. It is from the Grey's Anatomy episode "Change of Heart." 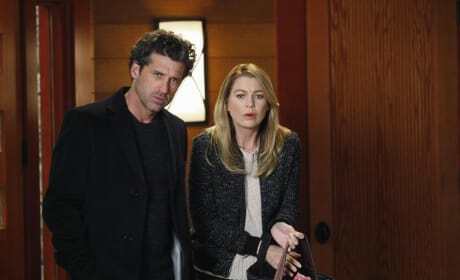 With the stress of dealing with both work and home, Derek and Meredith look to be struggling to keep it together.